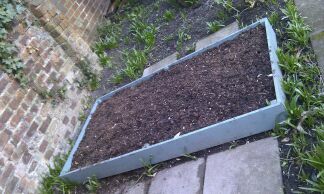 One part of the Small Plot! In the past I’ve not been especially interested in gardening but was always intruiged with planting seeds and seeing the plants develop. I now realise that I have also picked up a few things over the years mostly from my parents or through trial and error. Around 2011 I decided that I was ready to take it more seriously and even try to get a bigger crop of edible food from my vegetable growing efforts. 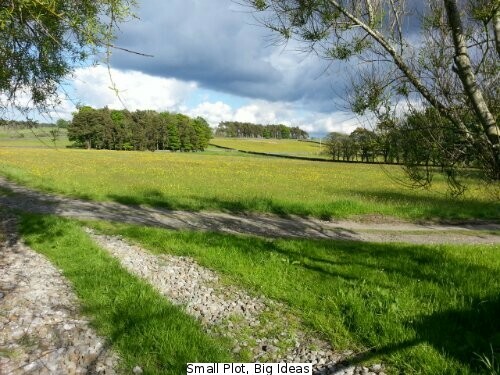 This led via a tortuous process to selling our suburban semi-detached house and moving to a 15 acre property in the North Pennines! We finally completed the move in June 2013 and hope to take on a variety of new things while continuing with many of the previous successes. Please let me know if anything I’ve covered here has been of some help to you and if you see that I have made any mistakes (either gardening or blogging) then drop me a line to help me improve both. Why not come to Alston and District Flower and Produce Show on Saturday 12th September at Samuel King’s School, Alston: open to the public at 2 p.m.
Hi, Do you have an email address i can contact you at? I have started offering Sheep Handling courses for smallholders, and i was wondering if you could include a link on your Learning page? Richard. I wonder can you help. I’m looking a a video review of an ‘automatic chicken coop door opener’. Its called ChickenGuard see http://www.chickenguard.co.uk. We have lots of good reviews but we need some video reviews from some independent chicken owners ‘warts and all’. Chickenguard will send you a FREE product. There is no comittment and no cost (apart from your time). The review need only be a cameraphone quality. If you are interested please e-mail me or pnone and we can have a chat.